While we regularly schedule family activities, we also seek to spend time with each child individually. Here are ten ways you and one of your children can enjoy being together. Let your child choose what he/she would like to play – anything from dress-up to Legos, fire trucks to Candy Land. Go outside together. Go for a walk, ride bikes, jump rope, play catch in the backyard. You can burn calories and bond with your child at the same time! Take him/her out for breakfast, lunch or ice cream – just the two of you. Tackle a project together; plant some flowers or vegetables, wash the car or clean the playroom. Build a model car or create an art project that he can keep. Shop for something just for that child. It doesn’t have to be expensive; a trip to the dollar store or a visit to the dollar section of Target or a craft store can provide plenty of choices. Set aside a weekly time to talk. I designate one night a week for each of my daughters and I to spend ten minutes just before bedtime talking about any subject they wish. Read a book. Find a quiet corner during a time when other siblings are occupied and read a book or a chapter of a longer book together. Serve someone as a team. Take one child with you when you deliver a meal to a new mother or drop off donations at a neighborhood shelter. Bake a favorite treat together. Pray together. If your child is struggling in some area or has just received an unexpected blessing, take time to be alone with that child to either ask God for His help or thank Him for His goodness. 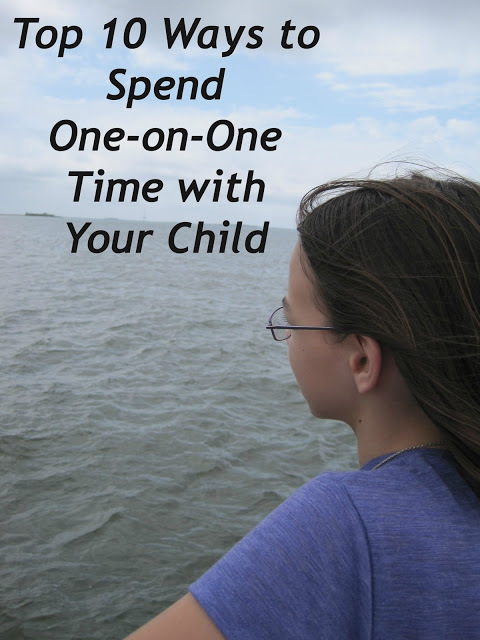 How do you spend one-on-one time with each of your children? I’d love to hear your ideas! I love this post. Thank you for all of these great ideas. 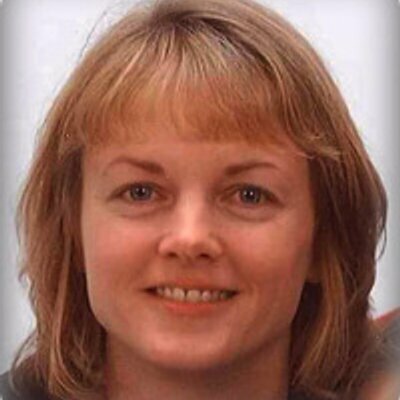 I am a SAHM of three boys 7,4 and 9 months, and my husband works seven days a week and very long days. I have a hard time finding alone time with each child, and most often I have to sneak it in somehow. On Sunday mornings I will sometimes wake up my oldest son early, and together we will go to pick up the paper at the gas station nearby. Other times, it is cooking or baking with my middle son, and the special moments usually come if two of the boys are taking a nap, so I only have one boy awake. I love this list. We do so many of these things…and we adore being with our girls! Great list!! I think you covered so much…I think the key for our home is finding out what interests each individual child and really expanding all sort of creative avenues from there. Thanks for all these ideas and reminders! Oh, I love this. It's hard to spend one-on-one time sometimes. But so worth it! Thanks for the tips! Great list! I like number 7#. My mom and I used to sit on her bed before going to sleep and read together. We read separate books, but just sitting there together and reading and occasionally talking, just me and her was nice. We did that for several years and I always loved it and looked forward to it. How sweet! I know that while my time spent talking with my daughters during these years is mostly about trivial things, the day will come when more serious matters will be up for discussion. I want to make sure the lines of communication are well-established by that point. Great post! I'm going to do some of these and send it to dh as he was wanting to know how to bond with our teen daughter as she isn't into the things he is.